The Granary Quilts: Your Friendly Neighborhood Quilt Shop! Welcome to Your Friendly Neighborhood Quilt Shop! The Granary is delighted to participate in Northcott's Stonehenge Block Party. 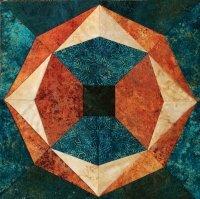 We've designed a 12"x 12" finished, paper-pieced block (shown right) using fabrics from the Stonehenge Solstice Anniversary and Gradations Oxidized Copper lines. Collect 12 blocks from different shops and enter to win a trip to the Stonehenge in England! If you are not that ambitious, pick up the lovely Stonehenge panel and enter the panel quilt contest at The Granary. See www.Northcott.com for contest rules. 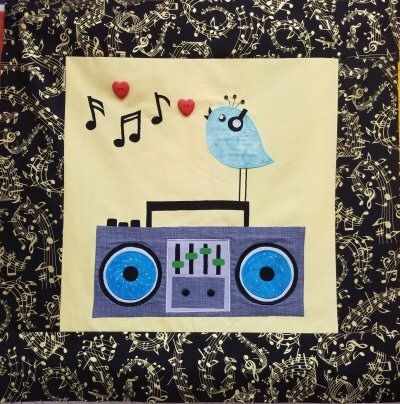 Get your block kit, panel, and fabrics at The Granary, or click here to purchase the block kit and have it mailed to you. International customers, please call the shop at +1 (408) 735-9830. The Winter class schedule, running from January - April is now on the website! There's something for everyone! Remember you can now register for classes without leaving your home or picking up the phone! Simply register online by going to our Classes page! If you are not currently receiving our emails, please subscribe using the Newsletter box below! You don't want to miss anything (like a sale or special coupon)! BOMs - It's a new year and there are lots of block of the month options at the shop! the March blocks are ready to be picked up at the shop. 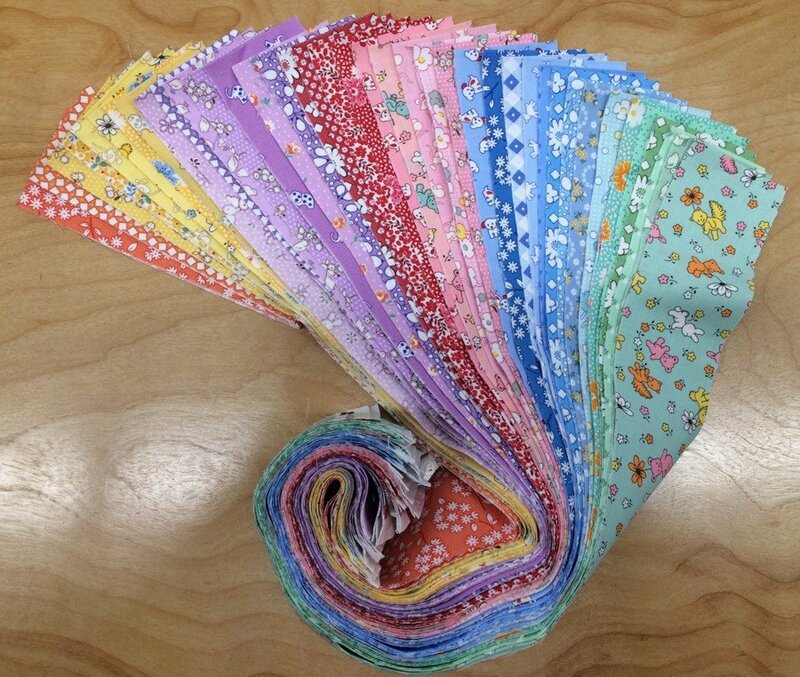 post a picture of the previous month's quilt pattern as well as the fabric selection for the current month! 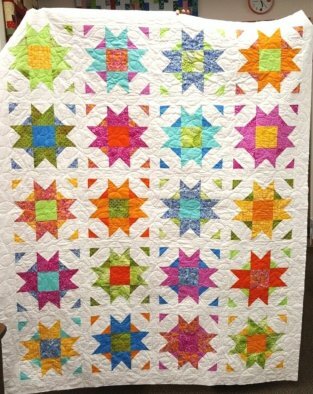 To the right is the bright and cheery quilt Luann created for February using the Happy Hour fat quarter set and the pattern, Compass Star by Quilty Love. Pre-cut bundles and patterns are still available. Carol's March offering is also available in pretty 30s fabric. Stop by the shop to pick one up for yourself! The next Happy Hour will be on Friday, April 26th, at 6:30pm. Sign up to see what Candy creates with the fresh fat quarter bundle pictured here. Click here to sign up online, or call or stop by the shop today to sign up for this fun evening! $45 includes the fabric, pattern, detailed demo, and refreshments....and of course, fun! The 2018 Row by Row Experience was "Sew Musical". Below is shop mascot Arnie, singing his heart out atop a boom box. Pattern and kits are still available. Click here to find out more about The Granary's row, The Beat Goes On. The 2019 Row by Row Experience theme is "Taste the Experience" and we have our thinking caps on....!